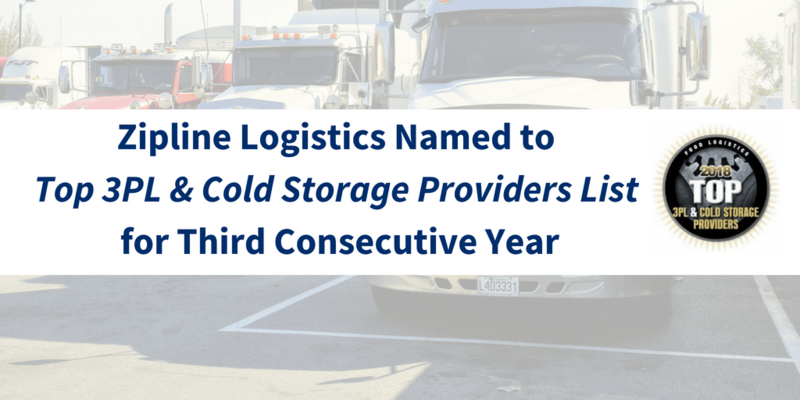 Columbus, Ohio— Food Logistics, the only publication exclusively dedicated to covering the movement of product through the global food supply chain, has named Zipline Logistics to its 2018 Top 3PL & Cold Storage Providers list for the third consecutive year. Zipline Logistics aids shippers with the selection and management of qualified carriers to ensure both on-time delivery and adherence to handling, temperature, and safety protocols. The company is known for its retail and grocery expertise, unparalleled customer service, and effective use of data analytics to identify opportunities for load optimization and cost savings. This year’s Top 3PL & Cold Storage Providers list will appear in the August 2018 issue of Food Logistics, as well as online at www.foodlogistics.com. 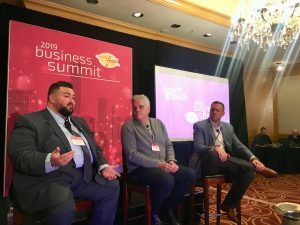 Zipline Logistics, founded in 2007, is a digitally-enabled transportation partner that specializes exclusively in serving the food, beverage, and consumer product sectors. Managing tens of thousands of shipments annually, Zipline Logistics proudly serves clients ranging from some of the largest retail organizations in the world to the brightest up-and-coming food and beverage brands in North America. 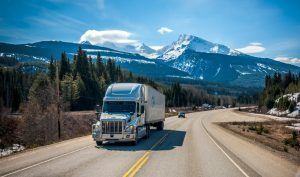 The 3PL’s capacity procurement team utilizes a proprietary qualification process to identify and contract the highest quality providers to operate within its network. This selectively procured carrier group is leveraged, along with Zipline Logistics’ proprietary data analytics software, a retail-trained operations staff, and service-first organizational culture, to deliver the absolute best client experience in transportation. For more information or to request a quote call 888.469.4754 or contact us here.